Post co-written with Luke Barbara, an American entrepreneur based in São Paulo, Brazil. Brazil’s role as a global superpower is on an upward trajectory and the country will make numerous important contributions to the world in the 21st century. Many of these contributions will come from, and almost all will be connected to, a sector that gets little attention in mainstream media – academia. So much attention is focused on the Brazilian government’s domestic and foreign policies, home-grown businesses such as Embraer andPetrobras , and the global mega events including the 2014 Soccer World Cup and the 2016 Olympics Games. Many people outside of academic circles have never heard about Brazil’s universities and the important role they play in the country’s success story through education, thought leadership, and technological innovation. It is important for all business leaders and global influencers with a desire to understand Brazil to familiarize themselves with Brazilian academia’s higher education institutions. Opposite to the United States, most of the top universities in Brazil are public and offer free tuition to those who pass their rigorous and highly competitive entrance examinations. The University of São Paulo (USP) is consistently ranked as the top university in Latin America byU.S. News & World Report and the other two state universities in São Paulo, UNESP and UNICAMP, are also academic powerhouses with global distinction. Top Brazilian higher education institutions have strong interplay with government, corporations, and technology creation. The epitome of successful collaboration between academia, government, and business is the relationship between the Technological Institute of Aeronautics (ITA) and aircraft manufacturer Embraer. Brazil’s academic prowess extends beyond aviation technology into many diverse areas. It should come as no surprise that business is one of the main areas. Globally recognized Brazilian business schools include Fundação Getulio Vargas (FGV), Fundação Dom Cabral, and USP’s FEA. Increasingly, Brazilian professionals are passing up the opportunity for a foreign MBA to instead attend business school in their own country. Academia is fueled by the exchange of knowledge and collaboration between researchers, students, and institutions. Brazilian academic institutions have long-standing partnerships with top universities around the world and new initiatives are launching with increasing frequency. Brazilian academia needs the knowledge, talent, and pollination of ideas from other institutions and researchers around the world. Mutually, it contributes in this exchange by sharing Brazil’s creativity, innovation, and thought leadership with rest of the globe. Recognizing the increasing importance of Brazil, foreign higher education institutions are rushing to establish themselves more firmly in Brazilian soil. Some of these are building on longstanding involvement in the country and others are making their first foray into Brazil. Harvard’s David Rockefeller Center for Latin American Studies has established an office in the São Paulo metropolis and the University of Southern California recently launched a Trojan Outpost focused on recruiting Brazilian students. A notable longstanding collaboration between Brazilian and American higher education institutions is the 49 year history of partnership, research collaboration, and student exchange between USP’s Luiz de Queiroz College of Agriculture (ESALQ/USP) and The Ohio State University (OSU) focused primarily on agricultural sciences and technologies. A unique aspect of this collaboration is a Brazil-USA dual doctoral Ph.D. degree program in the area of Translational Plant Sciences, which is a tripartite collaboration between ESALQ/USP, OSU, and Rutgers University. Furthermore, Ohio State’s President Gordon E. Gee was recently in Brazil in anticipation of the 2014 launch of the OSU Global Gateway Brazil. His visit included the renewal of a long-standing collaboration agreement between USP and Ohio State, the launch of a $1.4 million fund in collaboration with the State of São Paulo’s research agency FAPESP, and meetings to foster new partnerships with Brazilian academic, corporate, and governmental institutions in diverse focus areas ranging from advanced manufacturing to social sciences to genetics to agriculture. The Ohio State University Global Gateway Brazil will serve as an academic embassy with four pillars of focus; increasing two-way exchange of students, connecting alumni to each other and the university, fostering academic research collaborations, and partnering with companies for research and talent development. Higher education is also big business in itself. According to The Economist, only 10% of the universities in Brazil are offering free tuition for very limited and highly sought after spots. This created a market opportunity that entrepreneurs answered and grew into a multi-billion dollar industry for private higher education institutions focused, not on academic research, rather on providing a college education to the increasing number of degree-seeking students. In April, Brazil’s two largest private tertiary education companies announced a merger to create the world’s biggest for-profit operator by market capitalization, valued at about $6 billion, with 1 million students. 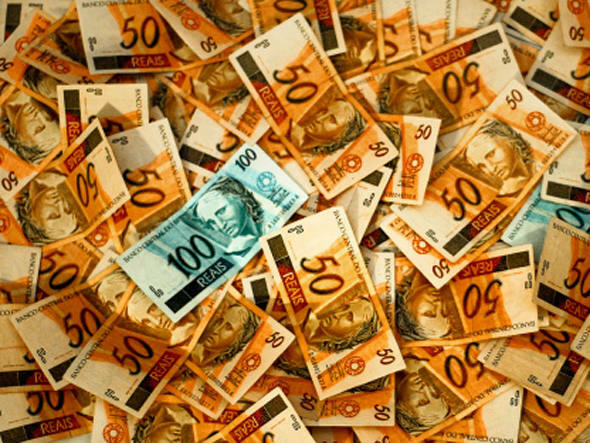 Kroton Educacional, part-owned by US-based private equity Advent International, will pay $2.48B for rival Anhanguera Educacional Participacoes, part controlled by BlackRock from the US. The deal demonstrates the highly lucrative potential of private higher education and is set to enrichen the dealmakers. Educational business opportunities extend beyond private higher education into areas such as language schools and test preparation. Earlier this year, Abril Educação, majority-owned by Brazilian billionaire Roberto Civita, agreed to pay about $440M for Wise Up, an English language school group. In 2012, HIG Capital and Actis also invested in other language schools in the country. Entrepreneurs Claudio Sassaki and Eduardo Bontempo left their investment banking careers to found Geekie, a company focused on personalized learning and preparation for Brazil’s rigorous ENEM university entrance exam. Geekie recently raised growth capital from Fundo Virtuose, owned by the Brazilian billionaire family Gradin. Brazil severely needs to improve its educational ecosystem to meet the skill, knowledge, and innovation requirements of a country striving to improve the quality of life for all of its citizens and to climb higher on the world stage. This mammoth challenge will require a combination of public, private, and combined collaborative initiatives. Some entrepreneurs and investors are betting heavily that Brazil’s emerging middle class will be willing to open their wallets to invest in their future through education and training. These risk-takers know something that will be taught in the business classes in their universities: the best way to become wealthy is to find a real, urgent, and large-scale need and to provide accessible, effective and competitive solution(s). Opportunity and necessity are calling and diverse parties including Brazilian public universities, foreign academic institutions, and education entrepreneurs are all answering the call and playing their part in transforming Brazil through education. World politics, business leadership, energy production, and food security are just a few of the many areas where Brazil will not only contribute but probably also lead globally in the 21st century. Global influencers and business leaders should understand the importance of Brazilian academia and actively engage with the higher education institutions that are creating the ideas, technologies, and leaders who will shape Brazil and thus the world.